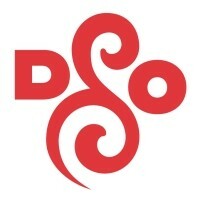 The Detroit Symphony Orchestra (DSO) has announced free programming for kids this Saturday as part of its Macy’s Super Saturdays. Join jazz musician Sean Dobbins for a morning of jazz and classical music fusion followed by musical fairytales with conductor Thomas Wilkins and virtuoso saxophonist Branford Marsalis. These presentations are available thanks to the generous support of MASCO Corporation and the Henry Ford II Fund. This Tiny Tots presentation is sponsored by the Henry Ford II Fund. Members of the DSO join Sean Dobbins & Friends as they introduce a blend of jazz and classical music, their instruments and a world of imagination! This Young People’s Concert is sponsored by MASCO Corporation. Maestro Wilkins returns to Orchestra Hall to ignite your imagination by bringing delightful characters to life through music. Wilkins and Branford Marsalis bring you musical tales like the William Tell Overture and "Flight to Neverland" from Hook. 3711 Woodward Ave., Detroit, Mich.
Free tickets to these Macy’s Super Saturday events can be reserved at the Max M. Fisher Music Center box office (3711 Woodward Ave., Detroit); by calling (313) 576-5111; or online at http://www.dso.org/ or by using the links above.